No single author presented Darwin with a more difficult question about his priority in discovering natural selection than the British comparative anatomist and paleontologist Richard Owen. Owen was arguably the most influential biologist in Great Britain in Darwin’s time. Darwin wanted his approbation for what he believed to be his own theory of natural selection. Unfortunately for Darwin, when Owen first commented in publication about Darwin’s theory of descent he was openly hostile (Edinb. Rev. vol. 111, Article VIII, 1860, pp. 487–533, anonymous). Darwin was taken off-guard. In private meetings and correspondence prior to 1860 Owen had been nothing but polite and friendly, even helping Darwin in cataloguing and analyzing Darwin’s zoological specimens from the Beagle voyage. Every early indication predicted a life-long friendship and collaboration. But that was not to be. Owen followed his slashing review with a mounting campaign in the 1860s to denounce and discredit both Darwin and his small but ascendant circle of friends and supporters. But that was not enough for Owen. Starting in 1866, perhaps by now realizing Darwin had landed the big fish, Owen launched a new campaign, to claim the discovery of “Darwin’s theory” for himself. Darwin naturally fought back, mainly in the “Historical Sketch” that he prefaced to Origin starting in 1861. But when we peel back the layers of personal animus and escalating vituperation we discover in fact their quarrel was generated more by mutual misunderstanding than scientific disagreement. The battle ended only when Darwin finally penetrated to the crux of the matter and put an end to the rivalry in 1872, in the final version of the Sketch. 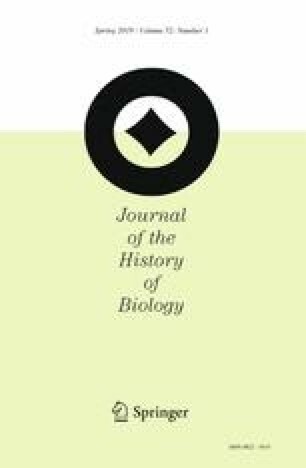 I owe debts of gratitude to the editors of the Journal of the History of Biology Michael Dietrich, Karen Rader, and Marsha Richmond for their encouragement of this project, the anonymous reviewers of earlier versions of the manuscript, and the many scholars who have preceded me, whose contributions are registered in the text, footnotes, and references. Alexis Johnson provided valuable assistance in layout and graphics. Van Wyhe, John, ed. 2002–. The Complete Work of Charles Darwin Online. http://darwin-online.org.uk/.